The Airdrie-Bathgate Railway Link connects Edinburgh to Glasgow through Bathgate, Drumgelloch and Airdrie. 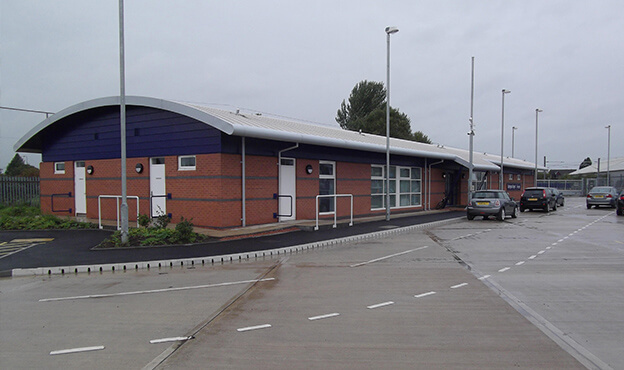 As one of the UK’s leading depot specialists, Spencer Group was appointed by Network Rail as the principal contractor on this project that delivered the design and construction of a brand new rail depot as part of the major Bathgate to Airdrie line programme. 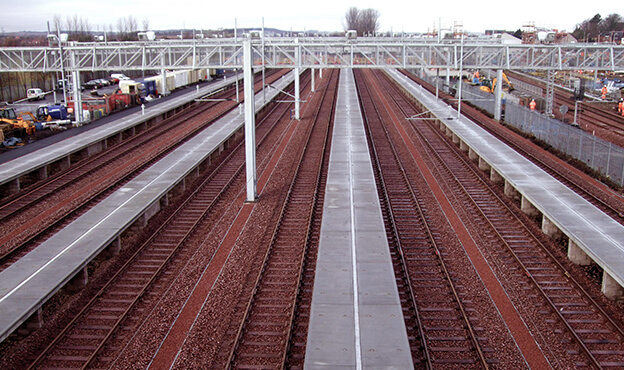 Spencer Group’s delivery of the Bathgate LMT Depot involved an accelerated programme specified by Network Rail on part of the site, and all accompanied piling design changes. We drew on our in-house design and planning team resource to successfully design, plan and ultimately deliver this acceleration for the client. The project build saw Spencer’s working in sub-zero temperatures through two severe winters, but despite these challenges there were zero RIDDOR incidents. 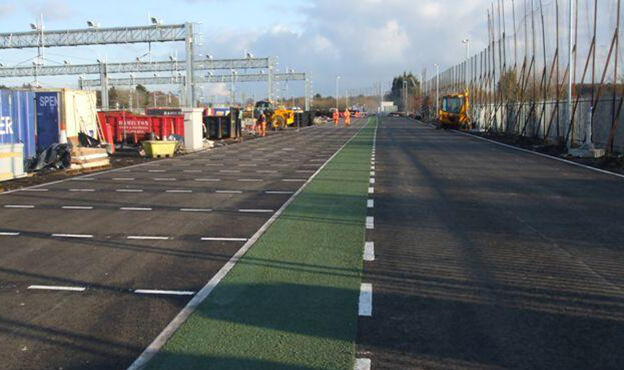 The project was awarded a Highly Commended Certificate for Network Rail’s Best Medium Project of the Year.